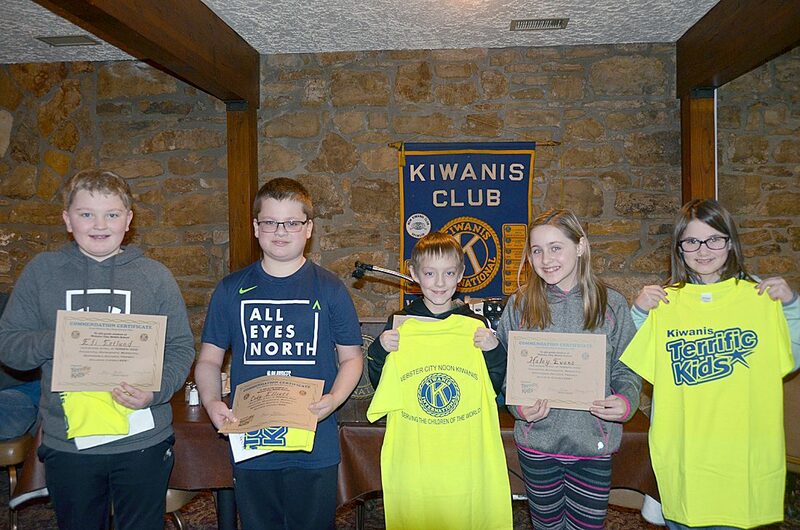 These Webster City Middle School 5th graders — Eli Estlund, Cody Elliot, Jake Ewing, Haley Evans and Addasyn Carlsen — were the guests of the Noon Kiwanis Feb. 5. They introduced themselves and told about their families and pets and their favorite subject to study in school. 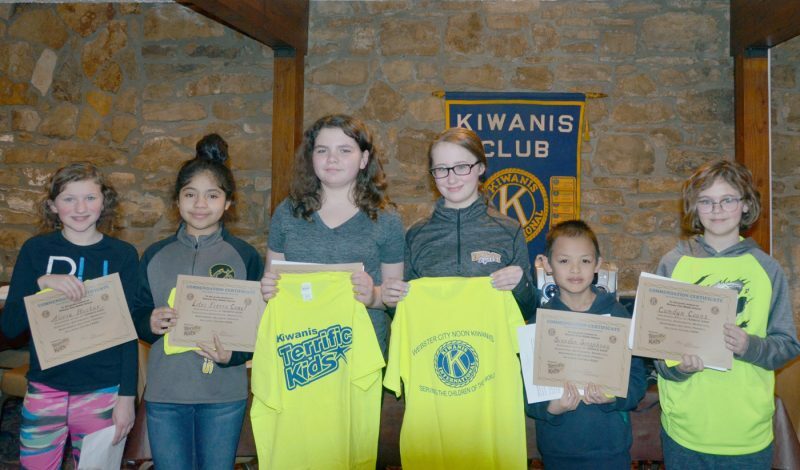 They learned about the county Crimestoppers Program and how to make a report.